Welcome to Eventing Nation’s comprehensive and interactive guide to the athletes and equines competing in eventing at the 2016 Olympic Games in Rio de Janeiro. We’ve scoured the Internet to bring you detailed information on each combination, including stats, breeding, recent results, analysis, current world ranking and more. Click on each rider and horse’s name to see their FEI profiles, which list detailed event results and major accomplishments. For a horse’s full pedigree (when available), click “breeding,” and then click the individual sire and dam names to see detailed bloodlines, photos and other offspring via the Sport Horse Show and Breed Database. Chinch has also provided a handy guide to help you distinguish established world beaters and serious contenders from promising combinations and determined underdogs. Bookmark this page as a handy reference tool for the horses and riders representing their countries in Rio. 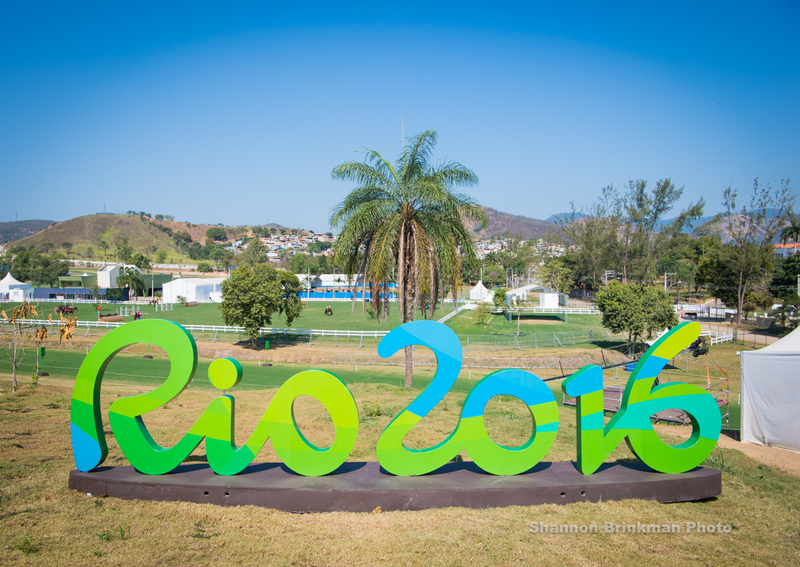 Be sure to click here to check out EN’s extensive coverage and previews of Rio so far. Go Eventing. Key Facts: Chris returns to the Olympic stage for a second time in his career, having also represented Australia on the team that finished sixth in London in 2012. Santano II has far less experience than his rider, having only completed one CCI3* in his career at Saumur in May. But Santano II won it in style with the fastest cross country round of the day. With speed largely expected to play a key role on cross country in Rio, these two will be an important pair to watch. Key Facts: “Brocks” amassed a huge fan club when she became the fourth mare to win Badminton in 2014, which gave her a spot on the 2014 Australian World Equestrian Games team that finished fourth in Normandy. This is Sam’s second Olympic Games, having also ridden for Australia in London in 2012, and his partnership is well established with this mare. With eight CCI3* and CCI4* completions under their belt, Sam and Brocks should be more than ready to impress in Rio. Key Facts: Stuart anchors the Australian team as the rider with the most experience, having previously competed in two Olympic Games in 2000 and 2004. He now rides in his third Olympics aboard Pluto Mio, with whom he finished 11th individually at the World Equestrian Games in 2014. The horse has only completed one CCI since WEG, finishing ninth at Adelaide last year, but his strength on cross country makes him a key asset to the team. Key Facts: Karin makes her sixth Olympic appearance for Belgium in Rio riding lovely “Fletcha,” who impressed in his first CCI4* start as a 9-year-old at the 2014 WEG to finish in fifth place individually. The horse has racked up a series of notable wins since then, including two victories this year at Marbach and Barroca d’Alva with finishing scores in the 30s. When these two are on form, they are very tough to beat. Key Facts: Joris makes his fourth Olympic appearance hunting for redemption with “Lully,” whom he retired on cross country in London in 2012. Since then these two have represented Belgium at two European Championships, which they completed with clear cross country runs, plus the 2014 WEG, where they unfortunately fell on cross country. One of Belgium’s most familiar combinations, Joris and Lully are one of two combinations individually representing their country. Key Facts: While his other teammates have competed in either the Olympics, World Equestrian Games or Pan American Games, Marcio is representing his county for the very first time at the Rio Olympics. This horse has one CCI3* under his belt from Barretos last fall, where he and Marcio finished fourth. They also competed in the Aquece Rio Olympic test event last year, so they know a bit about what to expect come cross country day in Rio. Key Facts: Ruy is competing in the second Olympic Games of his career aboard the same horse in Tom Bombadill Too, with whom he finished 42nd individually in London in 2012. Since then Ruy and “Tommy” also completed the 2014 World Equestrian Games and won individual bronze and team silver at the 2015 Pan American Games in Toronto. They are one of a handful of pairs in the field competing in back-to-back Olympics. Key Facts: Marcio, a doctor and anesthetist who also owns a rubber plantation, rode in his first Olympics for Brazil in 2012 and now makes his second appearance in his home country. Lissy Mac Wayer is a spicy little mare who competed in the U.S. over the winter (you might have seen her in the two-star at Red Hills!) before the Brazilian team went on to the UK to train with their coach Mark Todd. Lissy wowed us all with a stellar 32.5 dressage test in the Barbury leg of Event Rider Masters last month. If she can replicate that performance in Rio, watch out! Key Facts: “Bob” is one of three off-track Thoroughbreds competing in Rio (and there are four in all if you count Donner as the U.S. traveling reserve!). He raced 13 times, including three wins in 2008, and competed in Retraining of Racehorses classes in the UK before Carlos took him on in 2011. We love a good OTTB success story! They have since completed CCI3* events at Boekelo and Ballindenisk. Carlos first competed in the Olympic Games in 2000 at Sydney and returns after a 16-year hiatus with the Games in his home country. We’ll be cheering extra loudly for these two. Key Facts: Rebecca and her longtime partner “Rupert” represented Canada at the 2010 World Equestrian Games in Lexington before going on to their first Olympic Games in London in 2012. While they didn’t complete there, they now have four more years of experience under their belts and have long been one of the top combinations in Canadian eventing. They have had several moments of brilliance across the three phases this season and now will look to package those performances together for an unforgettable result. Key Facts: Colleen made her team debut at the 2015 Pan American Games, piloting this horse to an eighth-place individual finish and helping Canada win team bronze. Now she makes her Olympic debut with “Qorry,” a horse she has competed since 2013 and knows extremely well. While he’s green to the level with just one CCI3* under his belt at Jersey Fresh in May, Qorry’s game attitude to cross country and Colleen’s confident riding will help these two to a solid team performance for Canada. Key Facts: Jessica’s road to Rio has been a bumpy one, as she was initially not named to the team but successfully lodged an appeal to claim her spot. Having competed in the 2012 London Olympics, two WEGs and three Pan American Games, Jessica is one of Canada’s most prolific event riders, and that experience will go a long a way in helping Canada deliver a strong performance in Rio. This little mare, affectionately known as “Blue Eyes,” may not be fond of dressage, but she is all heart when it comes to the jumping phases. Key Facts: Kathryn Robinson’s road to Rio has been a long one. Originally named to the team prior to the public announcement, she was bumped to the traveling reserve slot after Jessica Phoenix successfully appealed for a spot on the squad. When Selena O’Hanlon was forced to withdraw Foxwood High during Canadian team training camp, Kathryn was once again placed on the team. These two dazzled in dressage last year in their team debut for Canada at the Pan American Games before taking a tumble early on cross country, so Kathryn will be out to prove that she belongs on the world stage. Key Facts: The Olympic Games are special for many reasons, but the stories that perhaps touch our hearts most deeply are ones like this. Carlos and Ranco have long been Chile’s top eventing combination, and now they will represent this emerging eventing nation on the world stage. This is an experienced and accomplished pair, having secured a top-10 finish at the Guadalajara Pan American Games in 2011 and fifth place at the Toronto Pan Ams last year. They won Chile’s Quillota CCI3* in May to earn their ticket to the Olympics, and you can be sure there will be many cheers of “CARLOOOOS!” come cross country day in Rio. Key Facts: These two delivered a seriously impressive showing in the Event Rider Masters leg at Bramham in June, putting in three solid phases to take the win in a stacked field. This horse is green to the level, with only one CCI3* completion on his resume at Boekelo last fall, but he has talent in spades. Alex is a lovely, classically correct rider who has long made headlines as China’s top event rider. Look for them to shine while the world is watching. Key Facts: This horse has been campaigned very lightly this season, but don’t think for a second this combination won’t be bringing their A-game in Rio. Karim and Entebbe de Hus are a formidable combination more than capable of delivering in all three phases. They finished fifth last fall in the horse’s CCI4* debut at Pau on a 42.3, and they are one of the combinations in the field who pose a threat to complete on a final score in the 30s. This horse is especially lovely on the flat — try to watch his dressage test if you can! Key Facts: While this horse has also been campaigned lightly this season, he’s yet another weapon in France’s arsenal. Mathieu and Bart boosted the French team to a bronze medal finish in last year’s grueling FEI European Championships at Blair Castle, and they’re another combination that can deliver a very low final finishing score. They’ve been trending lower on the flat in each of their FEI appearances for the past two years. If that trend continues, they have a very good shot at cracking the 30s come dressage in Rio. Key Facts: The French team members have all deployed the same strategy of a light season for their Olympic hopefuls, and while we haven’t seen Piaf De B’Neville out much this year, he’s still had some memorable outings. Most notably, Astier and Piaf De B’Neville won the Chatsworth leg of Event Rider Masters on 45.0. They are yet another French combination that can score in the 30s on the flat and remain competitive across the two jumping phases. If you’re not sensing a trend yet, here’s a hint: France is poised to play spoiler in Rio. Key Facts: At the fear of sounding like a broken record, here is one more super talented pair for France. Thibaut and Qing Du Briot took individual and team bronze at least fall’s European Championships and looked very strong in their sole FEI outing at the Event Rider Masters leg of Chatsworth this year. Thibaut is poised for a very impressive performance in his Olympic debut for France. Key Facts: Elmo and Duchess Desiree won the Young Rider European Championships at Jardy in 2013 and went on to compete in their first senior championship at WEG in 2014. While they didn’t compete the cross country course in Normandy, they are back with a vengeance in their Olympic debut. They finished sixth in the CCI3* at Strzegom last year and have all the pieces to put in a solid performance in Rio. Key Facts: One of the great comeback stories of this Olympic Games surely must be William’s battle to return to the top of the sport following his frightening fall at Le Lion d’ Angers last year. “Chilli” is no stranger to the upper echelons of the sport, having won individual bronze and team silver at WEG in 2014, as well as winning Badminton CCI4* last year. William makes his fifth Olympic appearance for Britain in Rio, and EN will be cheering loudly! Key Facts: With top-10 placings at Le Lion d’Angers in 2013 and 2014, Ceylor L A N has been on the Team GB radar for several years now. Top places at key CIC3* events this spring secured his place on the Olympic team. While he’s a young horse at 9, he already has two impressive CCI3* finishes under his belt, placing third at Blenheim and first at Tattersalls last year. Ceylor scored a 32.9 on the flat at Chatsworth in May. If he can come close to replicating that, Kitty will be well on her way to a top finish in her Olympic debut. Key Facts: The fact that Quicklook V’s barn name is Pebbles is reason enough to cheer for her, but she’s also amassed a number of top placings that prove she’s a forced to be reckoned with in Rio. This mare is a joy to watch on the flat, and she can match her talent in that phase with two solid jumping performances. Key Facts: The one and only Pippa Funnell hardly needs an introduction, but let’s run through her accolades anyways. She helped Britain win team silver medals at both the 2000 and 2004 Olympic Games, plus won individual bronze with Primmore’s Pride in 2004. Add in WEG and European Championship medals and she’s one of the most highly decorated British eventers still actively competing. She rides Billy the Biz in Rio, a horse that won Ballindenisk CCI3* on a 38.8 in April. Watch for them to be extremely competitive in Brazil. Key Facts: If you’ve been reading this preview horse-by-horse so far, you’re probably sitting on the edge of your seat by now. We’re getting into the thick of it now with Sandra and Opgun Louvo, who won individual bronze and team gold at the 2012 London Olympics, plus individual and team gold at the 2014 WEG. Did we mention they’ve also won individual silver and team gold at the last two European Championships? These two are nearly a lock to clinch at individual medal; only the color is in question. Key Facts: This horse was not Michael’s first choice for Rio. I report: Michael did not want to take the reigning Olympic champion to Rio. But his hands were tied once fischerTakinou contracted a virus, and now we all wait with baited breath to see if Michael and Sam will join Charles Pahud de Mortanges and Marcroix and Mark Todd and Charisma as the third combination in Olympic history to take back-to-back gold medals. Can they do it? Considering Sam won Burghley last fall and Badminton this spring, which helped Michael become the second rider in history to take the Rolex Grand Slam, we say yes. Key Facts: These two laid down a 27.3 on the flat at Wiesbaden this spring. I REPEAT: 27.3. As if the German team wasn’t already formidable enough with the reigning Olympic and WEG champions in Michael and Sandra, Ingrid is waiting in the wings to stamp her own name in the eventing history books. While she has two Olympic team gold medals, Ingrid has never won an individual medal on this stage. There is a very good chance that will change in Rio. Key Facts: Julia and Samourai Du Thot were called in to replace Andreas Ostholt and So Is Et after the first horse inspection, as the originally named horse lost a shoe at team training camp and had been unsound. This reserve combination speaks to the depth of the German program; they’re proven to be dangerous in the sandbox, with scores in the 30s all spring, dependable cross country, and careful over the show jumps. Andreas’ late withdrawal is unfortunate, but we’re glad to see this 27-year-old rising star being given the chance to help her country defend Olympic gold. Key Facts: Stefano and Apollo put themselves at the front of the leaderboard after dressage at the London Olympics with a beautiful test that scored 38.5. They now return for their second Olympics together, and the fourth Games of Stefano’s career, as the anchor combination on the Italian team. Key Facts: This pair has completed CCI3* events together, improving their final placing each time. They most recently finished 14th at Saumur in May and put in a personal best dressage test at the European Championships last fall. There’s a ton of potential here! It’s also worth noting that Luca is competing on the team with his brother Pietro. Key Facts: Pietro and Barraduff put in a personal best dressage score of 41.9 at the European Championships last fall before being eliminated on cross country. They’re now hunting for redemptionn in their second senior appearance and first Olympics for the Italian team. His father Federico Roman won individual gold in the 1980 Olympics, which boosted the Italian team to a silver medal. That has to be good luck, right? Key Facts: These two made their team debut for Italy at least fall’s European Championships at Blair Castle, where they finished 28th with a clear cross country trip. Arianna and Querfira De L’Ormeau make their Olympic debut with plenty of experience, having completed four CCI4* events together. They finished seventh in the CCI3* at Ravenna last fall, plus delivered a very solid 23rd-place finish in a stacked Bramham CCI3* field last year, and definitely deserve to be in Rio. Key Facts: Clare and Euro Prince made their team debut in the 2013 European Championships in Malmö in 2013 and went on to represent Ireland at the 2014 WEG, where they did not complete cross country. With two more years to polish their performance, they’ve emerged as a top combination for Ireland, completing both Badminton and Pau with fast and clear cross country rounds last year. Look for this pair to shine for Ireland in their Olympic debut. Key Facts: Jonty competed for Ireland in the 2005 European Championships at Blenheim and now returns to the world stage in his first Olympic appearance. “Art” is an exciting horse for Jonty, one he’s produced from a young horse with very promising results. While the horse is still green to the level with one CCI3* completion at Boekelo last fall, he can deliver across all three phases and is definitenly one to watch, both for Rio and the future. Key Facts: Mark has been a mainstay of Irish teams for two decades now, and it’s exciting to see him making his third Olympic appearance. He rides Jemilla, a lovely mare that put herself on the map with a fifth-place finish at Saumur last year. While she only has one CCI3* start on her resume, she’s never finished outside the top 20 in any of her six starts at the three-star level. What she lacks in experiences she makes up with talent. Key Facts: Padraig has to be one of the most exciting stories in eventing at Rio. He competed in pure show jumping before making his eventing debut in 2013, and then got the call up to his first Irish team at the European Championships last fall. While he didn’t complete there, he comes into Rio for his first Olympics after a hot streak of a spring with Simon Porloe, who brings a wealth of experience to the table as a previous ride of Lucy Wiegersma, Padraig’s wife. These two are living the dream! Key Facts: This pair just squeaked into the Olympic Games, securing a CCI3* qualifying score at Bramham in June to shore up a spot in Rio. While Calle 44 is green to the level, Yoshiaki has plenty of experience representing Japan on the world stage, having competed in two WEGs and two Olympic Games. Key Facts: New Zealand’s Donna Smith produced this lovely horse through the CCI3* level before Ryuzo took over the ride in 2014. Since then they competed on the silver medal team at the 2014 Asian Games in Korea and secured a place in Rio with a top-10 finish in the Barroca d’Alva CCI3* in Portgual earlier this year. Key Facts: Merel competed Rumour Has It on the Dutch team that win bronze at the 2014 WEG and now makes her Olympic debut with her longtime partner. This horse is a cross country machine, and that talent helps him pull through in tough team scenarios. He also competed on the Dutch team at the European Championships at Blair Castle last fall, where he battled through a grueling cross country and ultimately finished 20th individually. Rio should be smooth sailing for this pair. Key Facts: Tim makes his third Olympic appearance aboard Bayro and will look to best his previous top Olympic performance from 2008, when he finished 15th on Concrex Oncarlos. Bayro has emerged as Tim’s newest superstar, finishing seventh at Luhmühlen CCI4* and 11th at Pau CCI4* last year. These two are fully capable of finishing on a score in the low 40s and contributing to a top performance for the Dutch team, which won bronze at WEG 2014. Key Facts: Alice has competed on three European Championships teams for the Dutch and now makes her Olympic debut with Peter Parker, her longtime partner who she produced through the levels. A very experienced combination, they’ve completed five CCI3* events, most noticeably finishing 10th at Saumur in May. Key Facts: Theo and Zindane made their Dutch team debut at last fall’s European Championships at Blair Castle, finishing 22nd individually. This is their first Olympic Games, and Theo and Zindane bring a solid amount of experience to the table with three CCI completions under their belts, including Bramham and Boekelo. Key Facts: Clarke made his team debut for New Zealand in the 2010 WEG at Lexington, where he helped the Kiwis take team bronze. He now makes his Olympic debut in Rio aboard “Ritchie,” a horse Donna Smith took to the CCI3* level in 2013 before Clarke took over the ride. While we usually see him compete in New Zealand, Clarke proved he can be competitive wth the very best in the world at Badminton this spring, where he piloted Ritchie to an impressive fifth-place finish to seal their bid for Rio. Key Facts: Jonelle rode on the bronze medal Kiwi team in her first Olympics at London in 2012 with Flinstar, and now she returns for her second Olympics with Faerie Dianimo. Affectionately known as “Maggie May,” this talented mare finished second on 32.8 in the CCI4* at Luhmühlen last year, showing just how low she can go on the scoreboard. They’re coming off a top-10 finish at Aachen CICO3* last month, where Jonelle and Maggie May scored 35.3 on the flat, so they’re coming in hot to Rio. 13-year-old Irish Sport Horse gelding owned by Robert Taylor, Varenna Allen, Tim Price and Selwood.com. Key Facts: Following the first horse inspection, traveling reserve Tim and Ringwood Sky Boy replaced Jock and Clifton Lush on New Zealand’s team due to a cut on the horse’s cheek. Nothing has been certain for Tim on his road to Rio; when his top Olympic prospect, Wesko, incurred a soft-tissue injury in April, he was forced to re-hang his hopes on the less experienced Bango and Ringwood Sky Boy. Ringwood Sky Boy earned himself a ticket to Brazil with some impressive spring finishes, most recently a fourth-place in the Luhmühlen CCI4*. Now they’re being called upon in the 11th hour, and they will no doubt roll with the punches and step up the plate. Key Facts: A true legend of the sport, Toddy will compete in his seventh Olympic Games in Rio, where he has the opportunity to add another individual gold medal to the two he already has to his name. He also rode Leonidas II in the last major championships for New Zealand at WEG in 2014, where they did not complete Pierre Michelet’s cross country course. Now they’re back to tackle another Pierre course in Rio. With top-10 finishes at both Burghley and Badminton in the last year, we like their chances. Key Facts: Pawel is a familiar face for Poland on the Olympic stage, having competed in the last three Olympic Games. He rides Banderas in his fourth Olympics, a horse he’s produced from a youngster. They completed one of their three career CCI3* attempts to qualify for Rio, finishing second in the CCI3* at Sopot last fall. Banderas can produce good marks on the flat, though their scores tend to vary widely. Key Facts: You know we have to cheer extra loud for California girl Lauren Billys! In competing at the Olympics, Lauren has realized her longtime dream of representing Puerto Rico on the biggest world stage. These two already understand the pressure of competing in a major championships, having competed in the Pan American Games in Toronto last year, where they finished 18th individually. Since then they delivered a top-10 finish in the Galway Downs CCI3* last fall, plus a win in the Twin Rivers CIC3* this spring. Look for Purdy to shine in Rio! Key Facts: Aleksandr is among the three Russian eventing athletes who got last minute (literally, Thursday afternoon) official clearance to compete at the Olympics. In July the IOC had declared that Russian athletes would only be accepted as eligible if they met a set of stringent criteria, including individual analysis of each athlete’s individual anti-doping record. Despite what was surely a stressful and uncertain leadup to the games, Aleksandr spent the spring preparing his horse in the UK and had clear cross-country runs at both Luhmühlen and Houghton Hall with dressages scores on either edge of 50. Key Facts: Eventing competition isn’t the stiffest in Russia; at Orion’s last FEI outing, the CIC3* at Ratomka Minsk, a dressage score of 46.9, 25.2 time faults cross country and 16 show jumping faults — a final score of 88.10 — was good enough for third place. That was their only spring FEI outing, and they retired cross country at their fall CCI3* at Vladikavkaz. They’ve had some solid results at the level, too, and will be looking to draw on those experiences and a bit of luck in Rio. Key Facts: Andrey and Gurza too have had only one FEI outing this spring at Ratomka Minsk. They added nearly 50 cross country time penalties and 12 show jumping faults to their dressage score of 45.8 to finish sixth on a final score of 106.2. Their record shows some hits and some misses, but like their Russian teammates, after so much uncertainty they’re likely happy just to be in Rio win, lose or draw! Key Facts: This pair retired cross country at their last spring FEI outing, the Luhmühlen CIC3*, which isn’t the most confidence inspiring note to ride into a major world championship upon. This pair has grit, though, and has completed two CCI4*s — Badminton and Pau — as well as the 2014 WEG in Normandy. Key Facts: Sweden is one of eight countries that will field full teams in all three Olympic equestrian disciplines, the others being Australia, Brazil, France, Great Britain, Germany, the Netherlands and the United States. Rio will be the first Olympic Games for Frida and Herta, a pair that hasn’t had a cross country jump penalty at an FEI event since the horse’s first CCI1* in 2008. They won’t win the dressage and they tend to collect a rail or two in the show jumping, but their confirmed record cross country will make them an asset to their team, and the Olympic Games are a fitting feather in the hat of this long partnership. Key Facts: Anna Nilsson and Luron, who were originally named to the Sweden Olympic squad, did not present at the first horse inspection. In their place: traveling reserve combination Linda (teammate Sara Algotsson Ostholt’s older sister) and Fairnet. This stallion tends to be solid cross country, usually adding some time and a rail or two to his score. The Olympic Games would be a great time for it all to come together for this pair. Key Facts: Sara comes into Rio as the reigning individual silver medalist, earned riding Wega in London in 2012. That year she was the leader going into individual show jumping, having added nothing to her dressage score of 39.3 through team show jumping, but a felled rail in the second round relegated her to silver and bumped Michael Jung and Sam to the top of the podium. Can she add another medal to her collection in Rio? Her mount this go-round, Reality 39, is capable of a dressage score in the 30s but is less consistent in the jumping than Wega, typically collecting a bit of time and a rail or two. Key Facts: Besides Sara, Ludwig played the next biggest role in leading Sweden to team silver at the 2012 Games in London. He and Shamwari (who went on to place seventh at the 2014 WEG with Boyd Martin) finished just outside the top 10 after team show jumping and ended up 20th overall. His 2016 mount Aspe is young and relatively inexperienced — she has only three CIC3* and one CCI3* under her belt — but has a spotless FEI cross country record and an experienced rider in the tack. Key Facts: Olympic heritage runs deep in the Vogg family. Brothers Ben and Felix are Switzerland’s sole eventing representatives in the 2016 Games, and a third brother Christian competes at the international level as well. The siblings’ grandfather Roland Perret represented Switzerland in eventing at the 1956 Olympic Games in Stockholm, and their mother Danièle competed in the Swiss equestrian championships in 1980. Noe Des Vatys hasn’t had the most seamless lead-up to the Games, having retired cross country twice this spring, but the Voggs are competitors and we wouldn’t be surprised to see them rise to the occasion in Rio. Key Facts: Felix and Onfire have picked up a 20 here and there cross country this spring, but they almost always find the finish flags come hell or highwater, as they did at the 2014 WEG in Normandy albeit not without a couple hiccups along the way. We expect them to do the same in Rio. Key Facts: Phillip competes in his sixth Olympic Games in Rio, making him one of the most experienced Olympians in the field. At 52, he’s also the oldest U.S. Olympian, though I’m sure Phillip would tell you that age is just a number. Mighty Nice was called up to Team USA late in the came when Fernhill Cubalawn strained a tendon in his final gallop before training camp, but Phillip certainly isn’t at a disadvantage with “Happy.” He’s completed three CCI4* events in his career, most noticeably finished fourth at Rolex this spring. These two are set to be the anchor combination on cross country for Team USA, and Phillip couldn’t be sitting on a better cross country horse. Key Facts: Lauren and Veronica have twice been crowned USEF CCI4* National Champions at Rolex, leaving little question as to why they’re representing Team USA in Rio. Lauren made her U.S. team debut at the Pan American Games in Toronto last year, and now she’s followed that up with her first Olympics just one year later. This duo is one of the most consistent pairs in U.S. eventing, especially when it comes to show jumping. Their clear show jumping average will prove to be especially valuable on Tuesday when horses and riders will jump two show jumping rounds to determine team and individual medals. Key Facts: Boyd went to his first Olympics in London in 2012 and delivered a memorable clutch cross country performance for Team USA, but his mount Otis Barbotiere unfortunately had to be withdrawn before show jumping. His strength as a cross country rider makes him an extremely valuable asset to the U.S., and he’s never had a cross country jumping penalty in a team championships. Blackfoot Mystery is one of three off-track Thoroughbreds competing in Rio and is the only U.S. bred. While they had a bit of trouble on cross country in the mandatory team outing at Great Meadow, Boyd has diligently done his homework and put that blip behind them. Key Facts: There are only a handful of horses in the field that average a final finishing score in the 30s, and Clark and Loughan Glen are one of them. This pair poses a serious threat to take an individual medal, as they can dominate across all three phases with a low 30s dressage test and double clear jumping rounds. “Glen” looks to be peaking at just the right time to deliver the performance of a lifetime in Rio, and we’ll be cheering them on the whole way. Key Facts: Camilla Kruger is the first-ever Zimbabwean to compete in an equestrian sport at the Olympic Games. She and Biarritz earned their ticket after finishing atop the FEI Olympic qualification standings for Africa and the Middle East. Based in the UK, they have had mixed fortunes on cross country over the past year, but their last outing before the Games was a positive one. At the Hopetoun CIC3* they added 14.8 cross country time penalties and zero jump faults to a dressage score of 49.3 to finish in third.